Boasting electric start, automatic transmission, and parental controls, the YFZ50 is perfect for riders 6‑years‑old looking for the perfect entry‑level sport performance ATV. 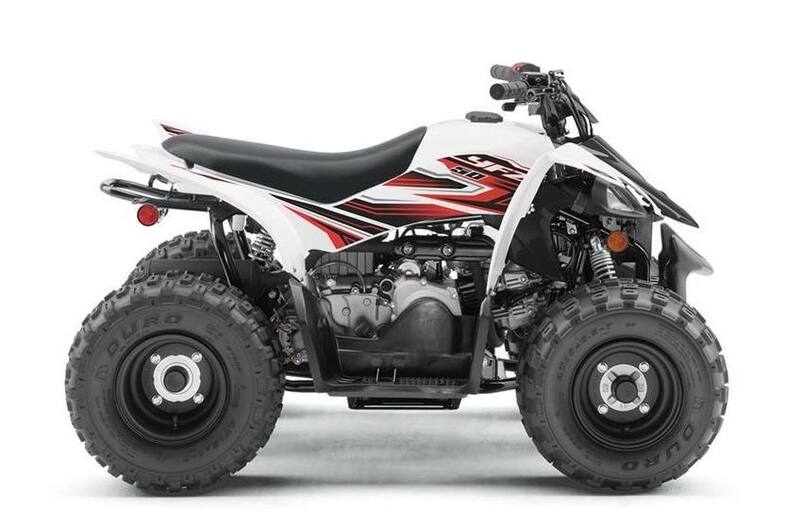 Engine Limiter and Tether Switch: To help young beginners grow into accomplished ATV riders, the YFZ50 includes a two-stage rpm limiter as well as a throttle limiter to restrict the engine's performance and adapt to the rider's advancing skill levels. 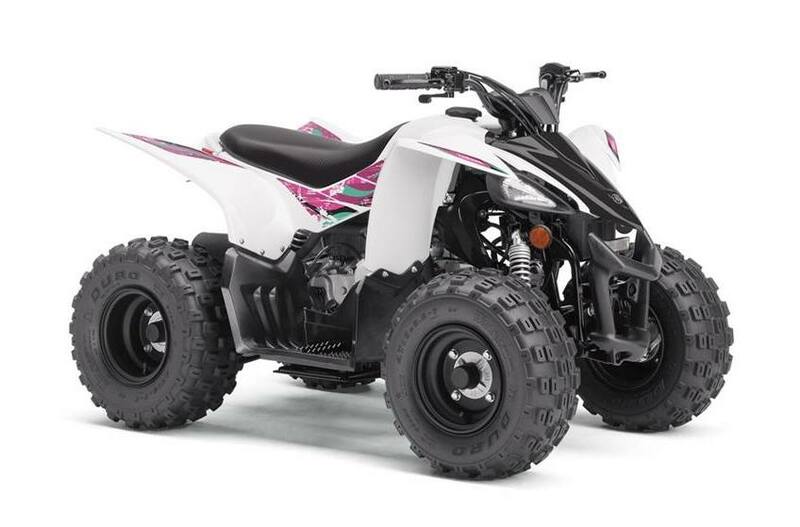 A tethered switch allows parents to closely monitor new riders and cut power to the engine if necessary as new riders learn the basics of ATV control. Robust 49cc Engine: The 49cc four-stroke SOHC engine is tuned to develop excellent low- to-mid-range performance, just where it's needed. The motor is air-cooled for simplicity, performance and long engine life and it uses ultra- reliable wet-sump lubrication. Automatic Transmission: Fully automatic, continuously variable transmission (CVT) means no shifting. Handy for all riders, it's a feature new riders will particularly appreciate. Sporty Drivetrain: Engine power is transferred to the rear wheels via a robust O-ring chain drive, running along a swingarm that's set at an optimized angle for rear shock performance. Comfortable Accommodations: The YFZ50 is designed to be comfortable and accessible for new ATV riders. With its roomy ergonomics, plush seat and wide floorboards, riders 6 and up won't outgrow the machine before they're ready for more displacement when they're older. Secure Stopping Power: For reliable stopping power, three sealed drum brakes bring the YFZ50 to a secure stop. There's a handlebar-mounted parking brake, too. L x W x H: 49.2 in. x 32.3 in. x 30.3 in. Maximum Ground Clearance: 3.5 in. ATVs are recommended for those aged 16 years and older. 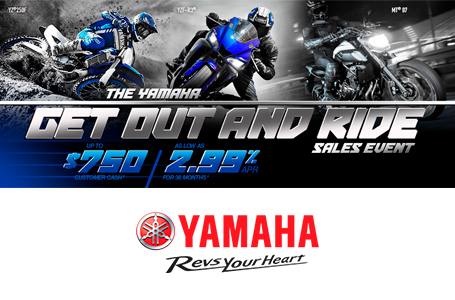 YAMAHA recommends an approved training course. See your dealer or call 1-800-887-2887. ATV's can be hazardous to operate. Wet weight includes the vehicle with all standard equipment and all fluids, including oil, coolant (as applicable) and a full tank of fuel. It does not include the weight of options or accessories. Wet weight is useful in making real-world comparisons with other models. The riders depicted on this website are professionals, and all of the action was shot on a closed course. At Yamaha, we want every ride to be safe and enjoyable. Always dress properly for your ride with a helmet, eye protection and protective clothing. Avoid excessive speeds and never engage in stunt riding. Never ride under the influence of alcohol or other drugs; it is illegal and dangerous. Always inspect your Yamaha before riding. Read the Owner's Manual and the product warning labels before operation. Yamaha and the Motorcycle Safety Foundation encourage you to ride safely and respect the environment. For safety and training information, see your dealer or call the MSF at 800.446.9227. 49.2 in. x 32.3 in. x 30.3 in.